PLEASE NOTE: This is the page of Sister Bridget Corfield. She is an independent contractor. Payment for her products and services goes directly to her and not to www.spellmaker.com. These products are paid for and shipped separately from other Spellmaker products. Of course, she is a founding member of the Spellmaker family and all of her products and services are Spellmaker approved and highly recommended! Welcome to Sister Bridget Corfield's page! As the initiated daughter of Mambo Samantha Corfield and Parran Matthew Corfield, Sister Bridget has received sacred tools and spiritual blessings of a true New Orleans Voodoo family directly from Mambo Sam and Parran Matt. This will aide her greatly in assisting you with these readings. She has been reading for Spellmaker clients for many years! 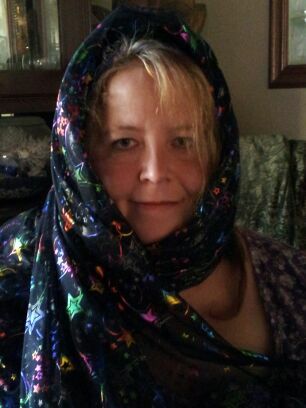 She will have special insight into your spell work or your spell work needs. Sister Bridget was initiated into the family of Mambo Sam and Parran Matt as a Priestess of Ogoun. Under the guidance of Ogoun and teachings of her initiation, Sister Bridget has expanded her knowledge and expertise in order to better assist you with your needs. If you still have questions after reading all the information, please write directly to Sister Bridget at bridget@spellmaker.com and she will gladly answer all questions. Please read carefully. There are different packages below for the types of readings that Sister Bridget does. Each reading offering is based on a particular need for information. Do you need just a quick insight on one subject or question? Then you would choose the 3 Card Quick Pick! If you need more information, there are other readings you may choose from, including the pendulum readings, so please read the entire offering selection below. Once you decide upon the reading you desire, simply click on the BUY NOW button for the reading of your choice. (Please note: You DO NOT need a PayPal account to pay for your reading. You can use almost any credit or debit card to pay.) This will take you to the payment page. Once your reading is paid for, you will be automatically directed to the form to fill out. (911 READINGS please see below for special instructions. 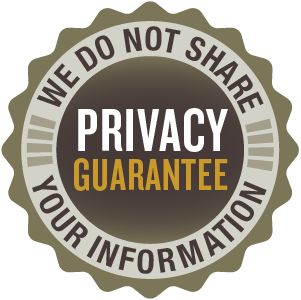 )Please make sure that you enable your spam filters to accept email from bridget@spellmaker.com - especially if you have a Yahoo! email account. After you order, you will be directed to a page with a form that you must fill out in order to schedule your reading with Sister Bridget. Please note: If you do not fill out the form, Sister Bridget will have no way to know that you ordered a reading! Therefore, it is imperative that you fill out the form properly in order to insure receiving your reading in a timely fashion. The form you fill out will allow you to choose between the email reading, the chatroom reading, and the phone reading for whichever type of reading you have chosen. (Again, please note, 911 readings have special instructions below.) Additionally, it will give you space to inform Sister Bridget of anything you feel she needs to know for the reading. Please choose from the reading selections below. First, order and pay for your reading. Once you pay for your reading, RETURN TO THIS PAGE or note the following email address, send an email immediately to 911sisterbridget@spellmaker.com to let her know that you have paid for a 911 reading. In the email please include this information: Your full name, your phone number, your email address, and a brief synopsis of the situation. Please also let her know how you would like to have the reading - by phone or chat. Please DO NOT email her at any other address for 911 readings than the one above. Emails to the 911 reading address regarding any other subject will be ignored. That email address is just for 911 readings. This is a good choice if you are looking for insight on just a quick question or if you need guidance just on one particular aspect of your case. Please note: This is meant to be a short, 15-minute only reading. If you feel you will need more time or more details, please order a longer reading. Thank you so much! 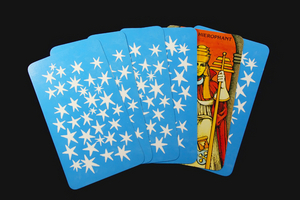 10 Card Celtic Cross or Relationship Spread by Email,or 30 minute card reading by phone or chatroom. The Celtic Cross spread is one of the most popular tarot spreads, providing varied insight into many aspects of a complex situation and your role in it. If you choose an email reading you may ask up to 5 questions. 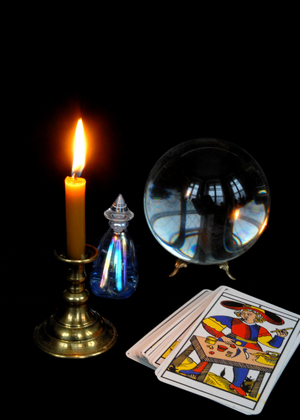 For phone and chatroom readings, as many questions may be asked as time and interpretation of cards allows. The Lover�s Path spread gives deep insight into the intellectual, creative, emotional, and spiritual aspects of both people in the relationship. This is not a spread to be repeated frequently, but rather to use the information and advice presented to gain understanding and help plan future approaches/strategies in your relationship. A reading like this is meant to look at long term possibilities for your relationship. If you choose an email reading you may ask up to 7 questions. 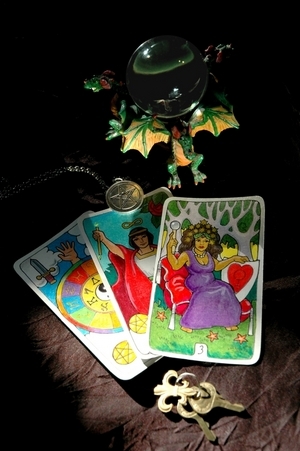 For phone readings, as many questions may be asked as time and interpretation of cards allows. Pendulums are often used in readings by many spiritual practitioners! The pendulum swings of its own accord to give the answers to questions on a predetermined chart. In Sister Bridget's case, her pendulum is linked to powerful voodoo lwa, Ogoun, and he helps with the answers to your questions. You may now ask Ogoun to answer your questions directly through Sister Bridget using her Pendulum of Ogoun. Information will be provided to you regarding how to frame your questions for getting the most out of this kind of reading. This is a 3 question pendulum reading for $29.95. Click the Buy Now button to order the 3 question pendulum reading ($29.95). Often considered one of the most powerful lwa in the Vodou religion, Ogoun is a often the subject of misinterpretation and misinformation! Would you like to learn more about this powerful Vodou Spirit? Sister Bridget recommends reading The Ogoun Page. Copyright © 1995-present, Samantha and Matthew Corfield, Bridget Corfield, The Voodoo Boutique ®.